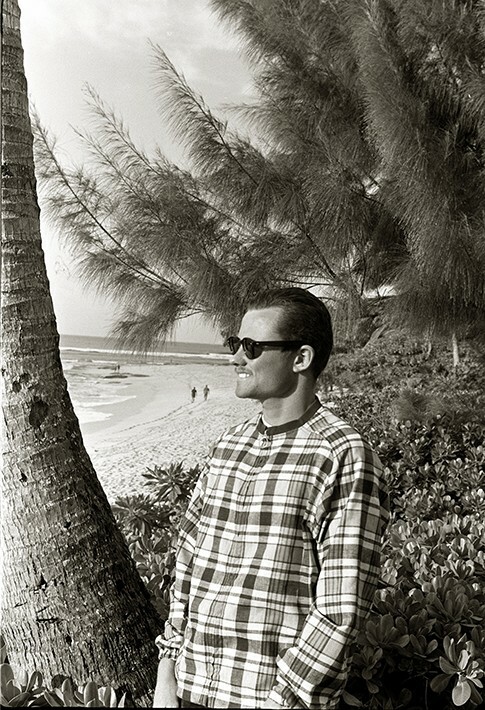 Corky Carrol "1996 Local Hero & 2004 Surf Champion"
PHOTO: 1965 Corky Carroll at Sunset Beach, North Shore Hawaii. Photo courtesy of Leo Hetzel. Corky Carroll. the original pioneer of professional surfing, was the first person to be paid to surf and the first to receive endorsements. He won all the events that gave away prize money in the early years. 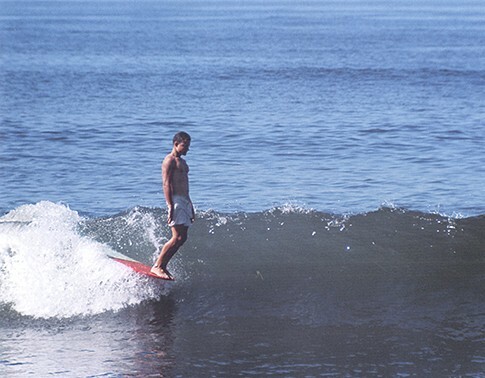 Carroll started surfing in the mid-fifties in Surfside, California while in the first grade. He competed professionally from 1959 until 1972, when he retired at the age of 24. In that time, he won five overall United States Championships, three International Professional Championships, one International Big Wave Championship, one World Small Wave Championship, and, as he puts it, " a bunch of other less glorious sounding titles"--over 100 in all. 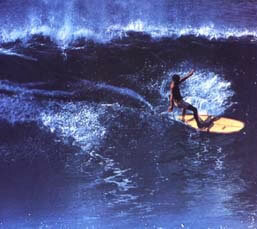 He was named "Best Surfer in the World" in a Surfer Magazine readers poll in 1968. 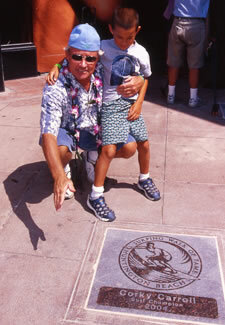 Cory hold the distinction along with David Nuuhiwa of being inducted for both the Surf Champion and Local Hero for the Surfing Walk of Fame. 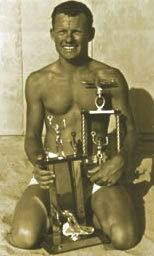 PHOTO: In 1966 when he was 18 years old Corky Carroll won the United States Surfboard Championships at Huntington Pier, he also won it in 1967 and 1969. Corky was the overall U.S. Champ from 1966 to 1970.